Gonna skate like it’s 1979… A pair of skates directly from the “good ol’ days”. 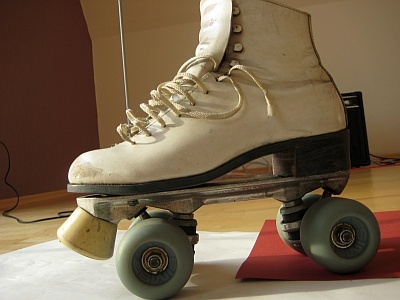 Some years ago I got a pair of white vintage skates, which are typically for outdoor skates in 1979. 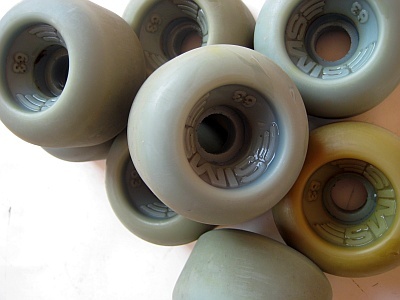 Actually I was only interested in the wheels, the famous SIMS 63 Rollersnakes. But when the skates arrived, it turned out, that they are perfect preserved in their original state. Inside the “Riedell 120” boots, the year of manufacturing is stamped: 1979. 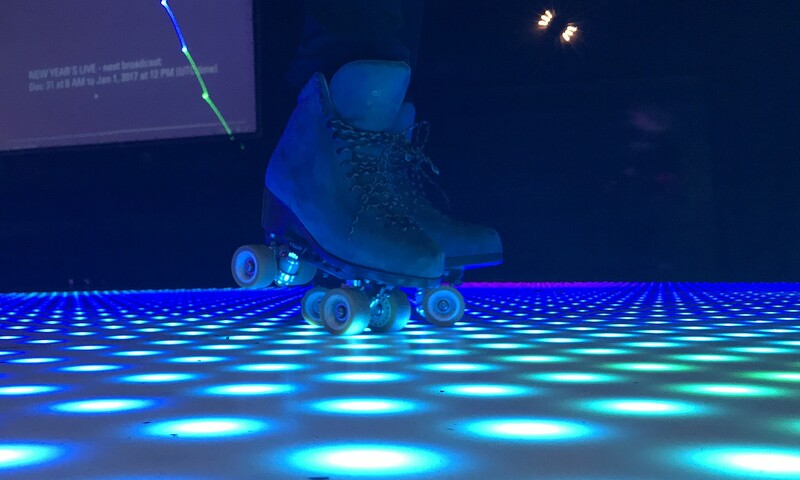 I could imagine the roller girl, who put off these skates in 1979 after roller skating in Venice Beach on a sunny summer day. So I call them Roller-Boogie-Skates, after the 1979 skate movie Roller Boogie, starring Linda Blair. The plates are Sure-Grip Super X in the old model with slotted pan head king pin bolts. Sure-Grip plates, Riedell 120 boots, SIMS Rollersnakes – not the only features of these remarkable, now 37 years old skates. 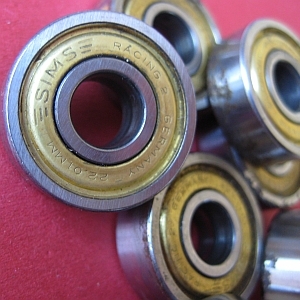 The bearings are SIMS “Gold”. The embossed lettering “Racing Germany” points to the German manufacturer GMN, which produced the bearings for SIMS. 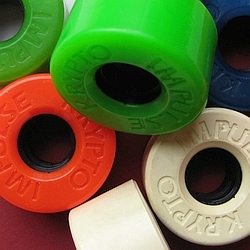 At that time some of the best bearings skaters could get. Distinguished roller skates for a possibly outstanding skater. 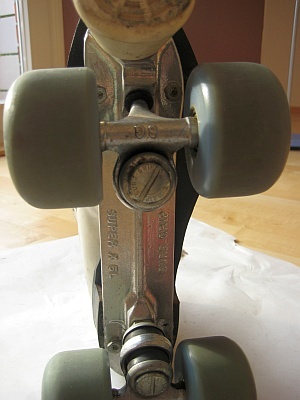 I’m proud, that I can preserve this skates which could tell so much about roller skating at the end of the 1970s. These skates are not for sale. But similar skates, depends on your home. I can give you some recommendations.